We asked the members of the Ontario Craft Council this question. They answered with some of the most beautiful Ontario keepsakes you can find, and we’re giving them away in our #OntarioWithLove contest at the TBEX Toronto Conference! Show off where you’ve been – we think these pins would be a great addition to a backpack or luggage. If you look closely at the scarf on the left you’ll see a reproduction of the Toronto Transit map – a great way to remember your TBEX adventures, and a great accessory too! If you have a family member who liked to travel in the 1970s, chances are you’ve seen a vintage tea towel or two. This retro influence was the inspiration behind Jen’s Ontario souvenir tea towel. 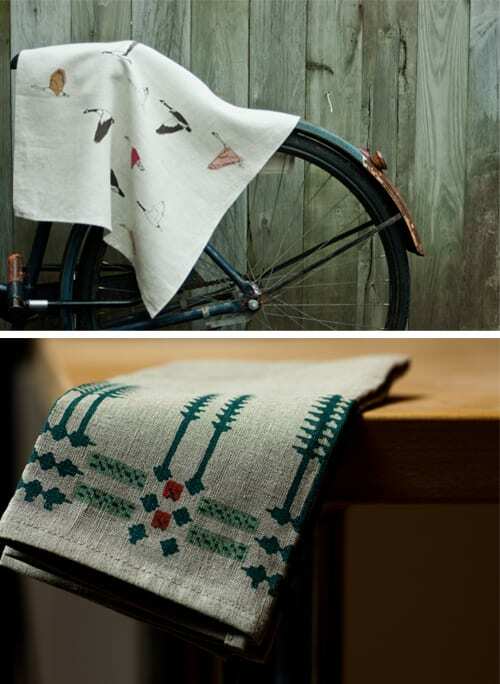 She describes the piece like this: “The inspiration for Freshly Printed’s designs are often drawn from local flora and fauna, northern Ontario cottage life, and Canadiana.” Jen also submitted the beautiful napkins below, inspired by the Ontario pine tree. 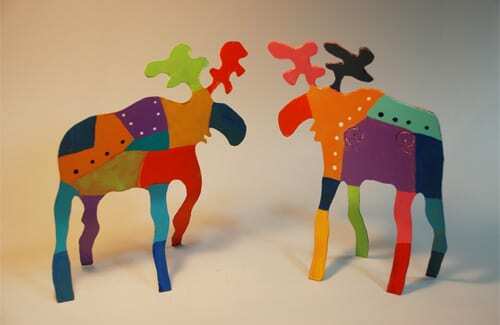 If you take these pieces home would you use them or save and display them? The moose, the beaver and the canoe – a combination of classic Ontario symbols – is celebrated on these necklaces by Kate. Fun fact: If you visit Canoe Restaurant, acclaimed as one of Canada’s best restaurants serving Canadian-style food, you may see the servers wearing cufflinks featuring Kate’s designs! For many Ontarians there’s nothing like a cold beer by one of Ontario’s lakes and rivers, and the many microbreweries across the province prove that people here are just as passionate about how beer is made. 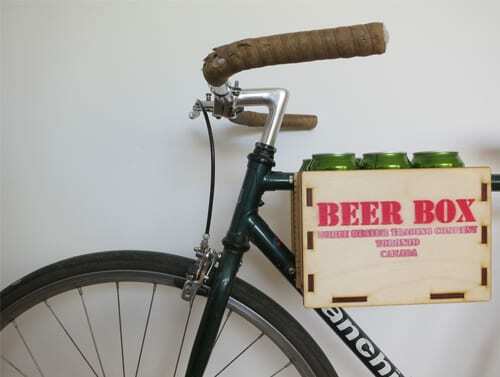 This Beer Box by Graeme Marrs of the Noble Beaver Trading Company celebrates this Ontario tradition. The Kid Icarus Print Department in Toronto’s Kensington Market is the home of master screen printer Michael Viglione, who has been creating posters and art prints for over twelve years. 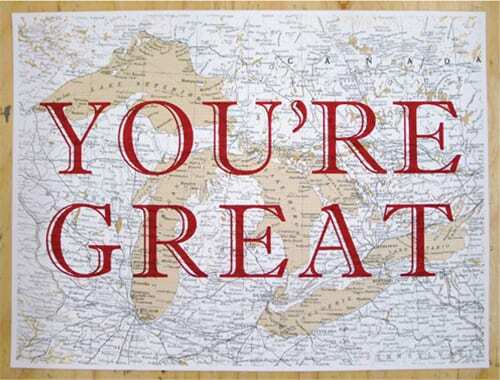 The “You’re Great” wall art up for grabs at TBEX is based on their best-selling postcard. The five Great Lakes, four of which border on Ontario, are the perfect way to celebrate the over 250,000 lakes that Ontario is home to. Wouldn’t this make the perfect addition to a home office? While we love all four seasons in Ontario, there’s something extra special about fall, which transforms the countryside into a rainbow of reds, oranges and yellows. Robert told us this marbled print was inspired by his travel in the rural Ontario countryside with the beautiful display of fall colours of Ontario maple trees. Did you know? 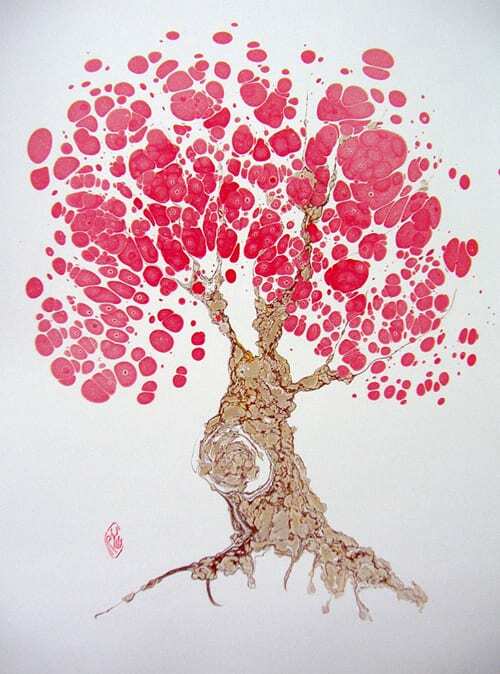 The marbling in this print is the ancient art of painting on water surface. Colours are floated onto a bath of liquid size, and a comb or rake is then used to move the colours on the surface in order to create patterns. A sheet of paper is then rolled onto the bath in order to pick up the colours or patterns. Each pull is one of a kind! Open to TBEX attendees. Contest open from May 27th – June 6th, 2013. 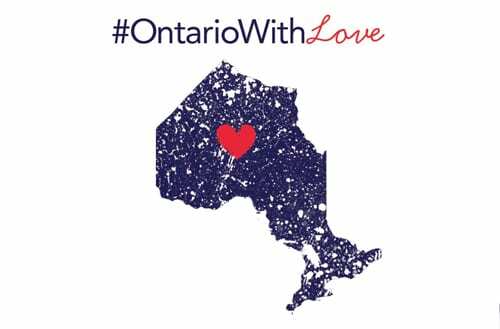 While you are in Ontario, tweet your favourite Ontario photos with the tag #OntarioWithLove for your chance to win a special keepsake for you and one of your followers. Enter as many times as you’d like – one winner per Twitter account. There are 50 prizes up for grabs! See full rules and regulations here. We’ll be randomly drawing winners throughout the conference and notifying them on Twitter via @ShareOntario. If you are notified that you are a winner, Direct Message us your mailing address & phone number. We will ship your prize and your additional prize to give away to one of your followers to the address you provided. Thanks to the Ontario Crafts Council and their wonderfully creative members for putting together these special TBEX prizes. 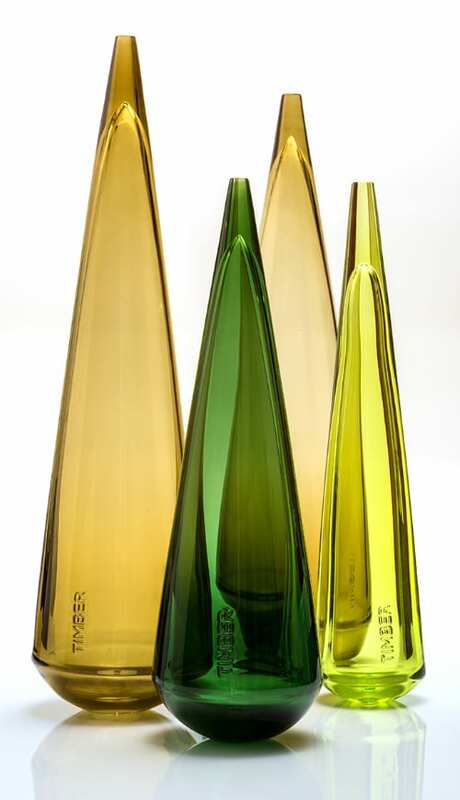 While you are in Toronto, stop by the Ontario Craft Council’s Guild Shop at 118 Cumberland Street in Yorkville. Good luck! This contest is void where prohibited, and entry is not permitted by anyone who is a resident of any country, region or state, where this contest would be restricted or subject to any filing, registration or other requirements. For full rules and regulations click here.